Flowmaster announces the new kit #17410 for the new 2005-2008 Ford Mustang GT. 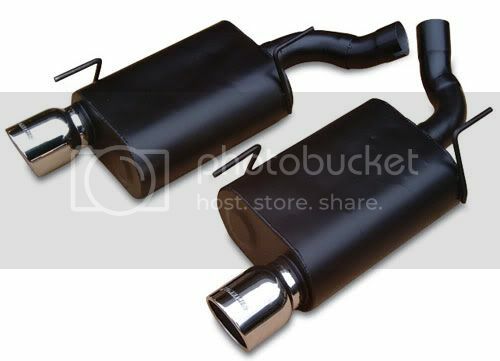 It features a pair of specially designed 5" x 10" mufflers, which provide minimal interior resonance while delivering a deep and aggressive exterior tone. The kit installs easily, with its stock style slip-fit over the axle pipes and comes complete with hardware and installation instructions. It is finished off with a pair of 4.00-inch, stainless, "Flowmaster" embossed exhaust tips.